As time goes by Photoshop developers add the newest, tricked out functions to the World’s coolest software for digital imaging. Each new edition comes with newer tools, more presets and better interfaces which allow beginning users to learn Photoshop quickly and efficiently. With these new tools many users forget about the ever-present tools that are still a standard in the professional field. 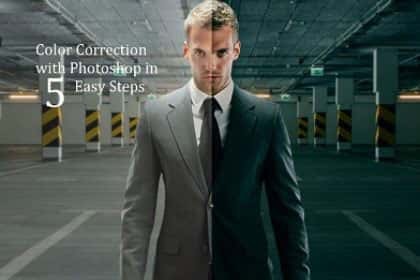 Color correction of an image is one of the most common uses of Photoshop. And, you don’t need to be an expert to color corrects an image. These five quick tips show you different ways on how to color correct on image. Let’s get started. This option is good for removing a tint. I always recommend using an adjustment layer as they are non-destructive. Before applying the color balance adjustment layer, you should always make a copy of the background layer, and then turn off the background. 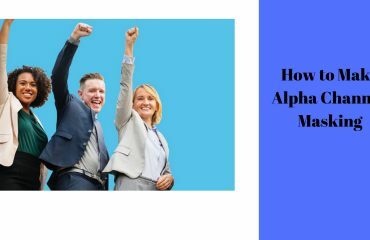 Although this step isn’t absolutely necessary since you are using an adjustment layer, you should make the habit of copying of the original image. 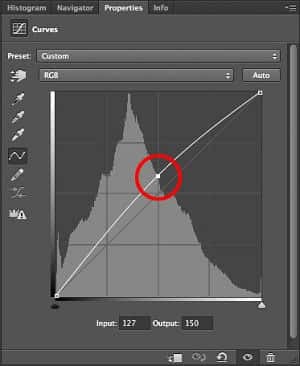 To apply a Curves adjustment layer, click on the Curves Adjustment layer in the Adjustment Layers panel. The Curves properties panel appears. Notice the drop down option next to the RGB channel. Not only can you change all channels at one time. You can also change the individual channels. If you reviewed the Color Balance Adjustment Layers above, you are also aware of the ‘opposite’ colors of each of these individual channels. This technique is great for images that just need to pop a bit more. 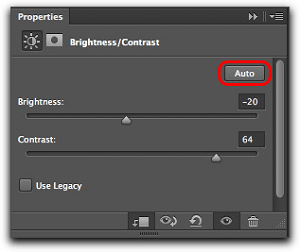 You are going to increase the contrast by using the Levels Adjustment Layer. The end result of this technique is that we’ll have ‘black blacks’ and ‘white whites’ in our image. You are now ready to perform the image correction. What you are going to do is click the Set Black Point tool in the darkest part of the image and the Set White Point tool in the lightest part. 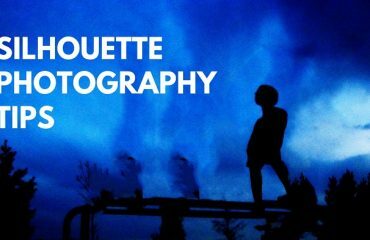 Take note of where the dark portions of the image are on the threshold and return the slider to the far left. 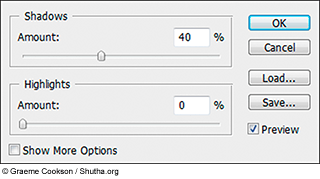 Choose the Set Black Point tool and click on the darkest portion of the image in the main image window as shown at left. 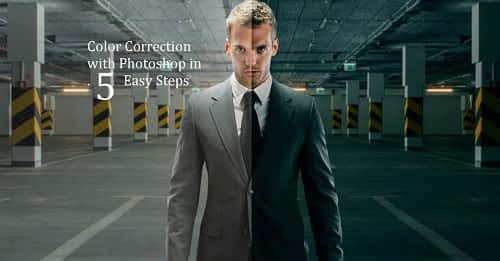 This is the quickest way to color correction of an image, although probably not the most accurate. If you need something quick and dirty, this is quick and dirty! But, I’d recommend one of the options above, if you have time. 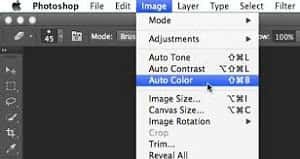 Make a copy of your image in Photoshop by duplicating the layer. With the copied layer selected, choose Image/Auto color from the main menu. 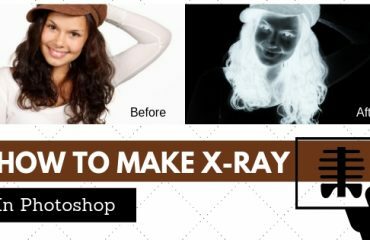 Photoshop will determine what needs to be adjusted and perform the color correction for you. 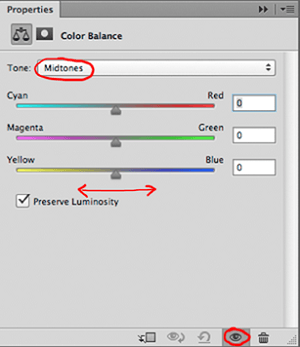 The downside of this option is that you are depending on Photoshop to determine the best color adjustment. This may work, or you may need to try one of the other options listed. Once you understand how colors work, you will be able to quickly adjust your images with the Curves Adjustment tool. Basic knowledge of RGB colors and their corresponding colors should allow every amateur and professional to quickly and efficiently fix any color cast. I hope you enjoyed this quick tip.